Fashion retailer Blue Inc offers a wide range of branded men’s, women’s and boys clothing. They often run seasonal sales with great savings on clothese for men and women, boys ad girls. 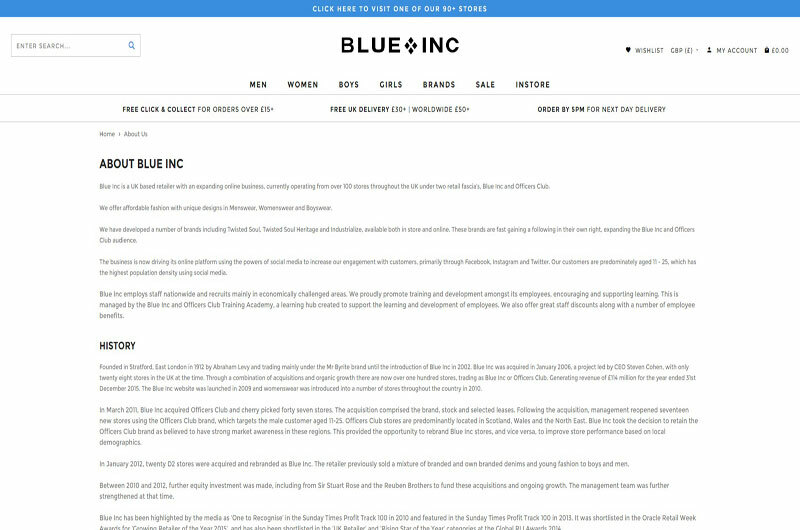 Blue Inc is a UK based retailer with an expanding online business, currently operating from over 100 stores throughout the UK under two shop names – Blue Inc and Officers Club.